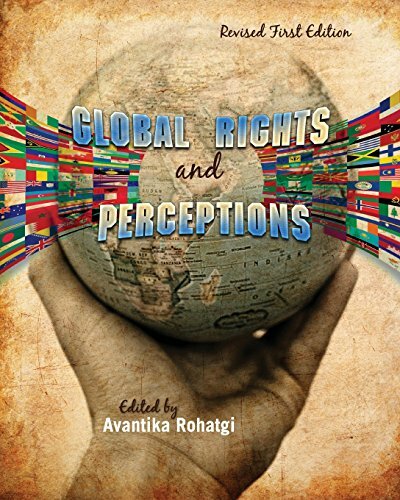 The readings by prominent literary authors and journalists chosen for the anthology "Global Rights and Perceptions" highlight the many ways in which human rights are being violated through practices such as human trafficking, intellectual piracy, organ trade, and female feticide. In Mutilation by Any Other Name, Sarah Ameigh argues why it is important to refuse to accept any act that demeans and endangers young women. Thomas Friedman sheds light on the role of contemporary America on the world stage in the article That Used to Be Us: How America Fell Behind in the World It Invented and How We Can Come Back. In "Global Rights and Perceptions" students read from a wide variety of original sources foreign policy journals, non-fiction books, medical journals, and current affairs magazines, including the "New Statesman," the "Journal of Medical Ethics," "Foreign Policy," and the "Journal of American and Comparative Culture." The textbook also includes representative student papers on global issues to stimulate students imaginations and exemplify compelling writing strategies. This varied exposure gives students several gateways through which to approach complex social issues, and raises awareness about how widespread these issues are and how seriously they are being considered by academic, journalistic, literary, and social entities. Avantika Rohatgi holds a Ph.D. in American Literature, as well as Masters Degrees in English and Applied Linguistics. Dr. Rohatgi currently teaches writing in the Department of English and Comparative Literature at San Jose State University. She has also taught at Santa Clara University, Indiana-Purdue University and Butler University. Her course offerings have included World and Multicultural Literature, Film and Gender Studies, and Children s, Women's and Non-Western Literature. Dr. Rohatgi also developed and currently teaches a Human Rights and Globalization course.